There are a number of new, space-focused businesses operating in Maine. We’ll learn about what makes Maine an attractive place for these types of businesses. We’ll also discuss the latest news from the world of space exploration. 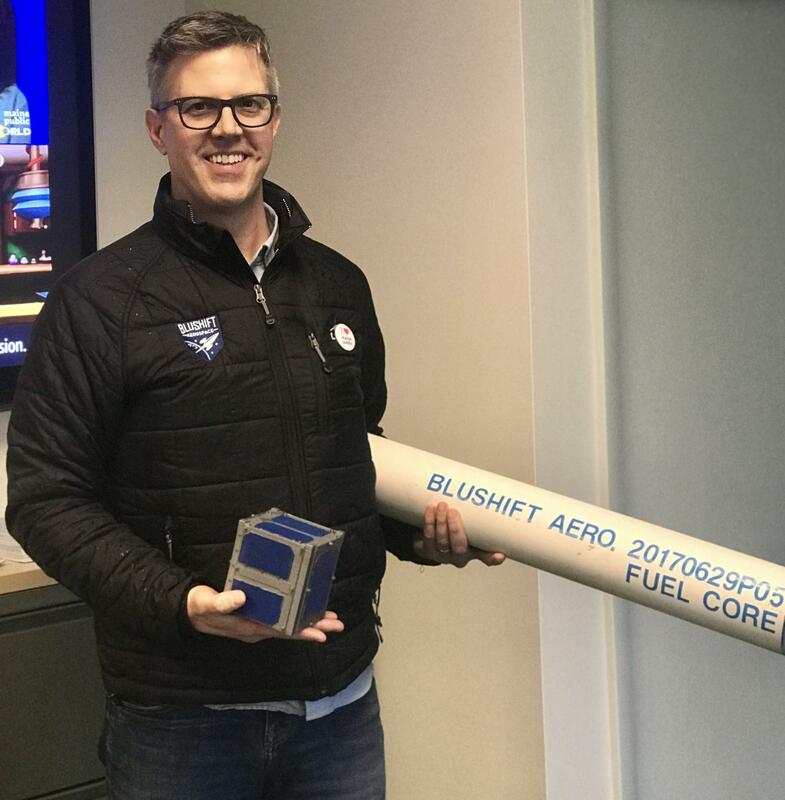 blueShift Aerospace CEO Sascha Deri with a solid fuel sample. Dr. Ryan Dorland, assistant professor, physics and chemistry, Saint Joseph's College. He was recently awarded a one-year research grant for $20,000 from NASA and the Maine Space Grant Consortium to introduce satellite science and build nanosatellite prototypes in his introductory college courses. It is rocket science. Maine ‘space nerds’ launch new company.